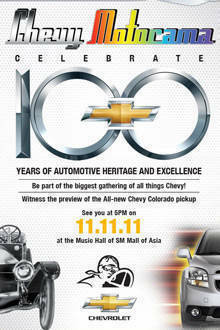 Chevrolet is celebrating its 100th year anniversary this November, and The Covenant Car Company (Chevrolet Philippines) is marking this milestone by staging a special edition of the Chevy Motorama this weekend at the Music Hall of the SM Mall of Asia. To showcase the brand's past 100 years, classic Chevrolet cars are on display at the venue, including the classic Bel Air and the iconic Camaro. 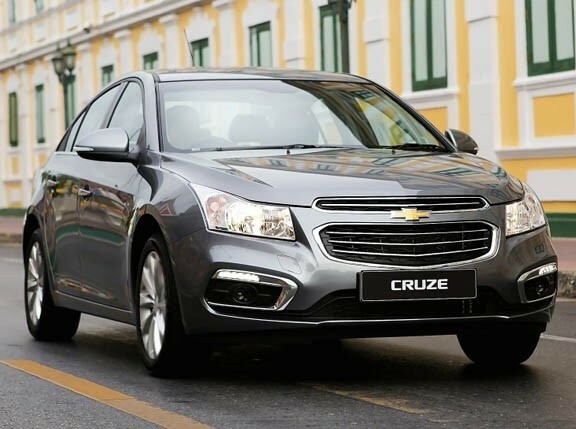 For those looking to buy a brand-new car, Chevrolet has a slew of vehicles ready for test drives, including the Chevrolet Cruze, which was named the 2010-2010 Car of the Year. 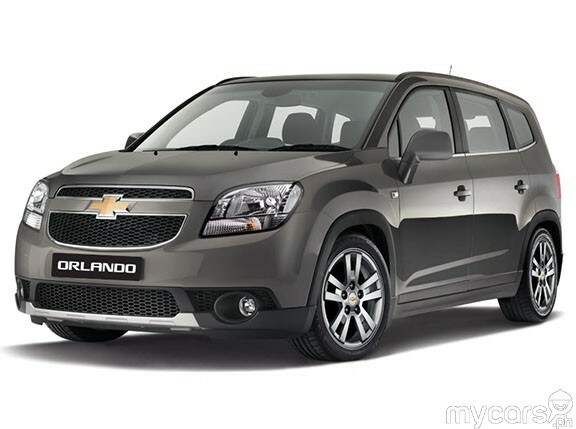 Chevrolet Philippines is also offering easy financing plans for its vehicles to go with the numerous freebies when you a buy a brand -new Chevy during the event. 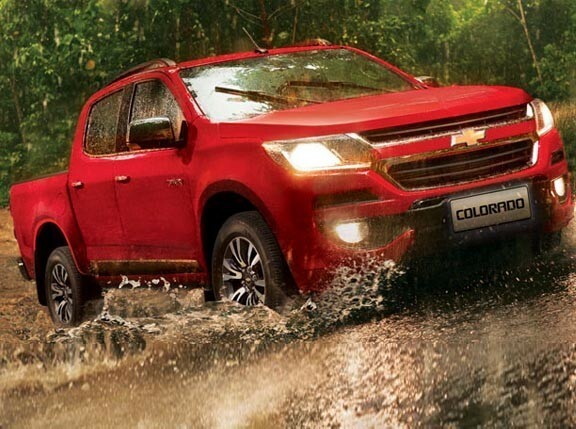 If you're looking for Chevrolet's future offerings, then you're in for a treat as the Chevy Motorama will not only give everyone a preview of the all-new Colorado pickup, which is expected to hit our market sometime next year, but also witness the Philippine-market launch of the seven-seater Orlando MPV. To help Chevrolet celebrate its 100th year, Top Gear Philippines is launching the Design the Top Gear Race Spark Competition where everyone with an eye for art and beauty can join and design the car's livery. Designs will be uploaded on TopGear.com.ph. Of course, bragging rights will go to the contest winner as Chevrolet Philippines plans to tour and display the winning livery-clad Spark around the Philippines. If things go according to plan, it might even join a couple of races just to show what a modded Chevrolet Spark can do. Other activities scheduled during the Chevy Motorama are the appearance of Chevrolet's celebrity ambassadors Ryan Agoncillo and the cast of the Sparkada Trip roadtrip-themed TV series today, November 11, the 100-strong all-Chevy Grand Motorcade on September 12, nightly band performances and hourly raffles. 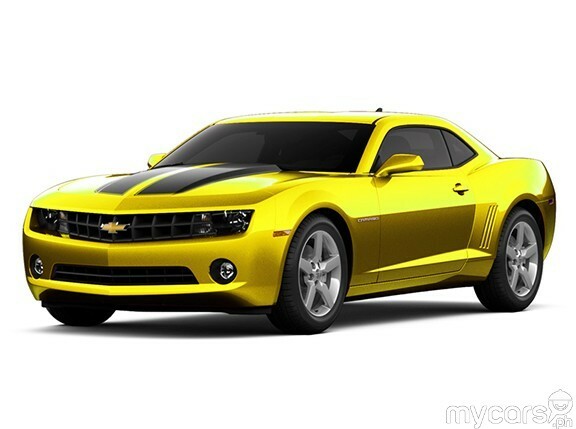 The 2011 Chevy Motorama will run until November 13. Admission is free.